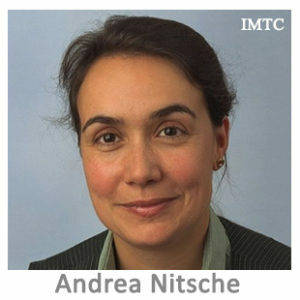 Andrea Nitsche has been Chair of the Global Cash Alliance Committee at the International Currency Association (ICA) since the ICA’s inception in 2016. She is one of the driving forces behind the ICA’s Cash Matters movement, launched in May 2017. “Keeping Cash – Assessing the Arguments about Cash and Crime” was the first white paper published by Cash Matters. Andrea worked in various industries, always in communications with a focus on media relations and crisis communication. She also taught at a Canadian university and used to live in Berlin and Brussels, representing German energy companies. Currently, she is Director Communications at G+D Currency Technology and lives in Munich. Andrea holds an M.A. in Humanities from the University of Tübingen.